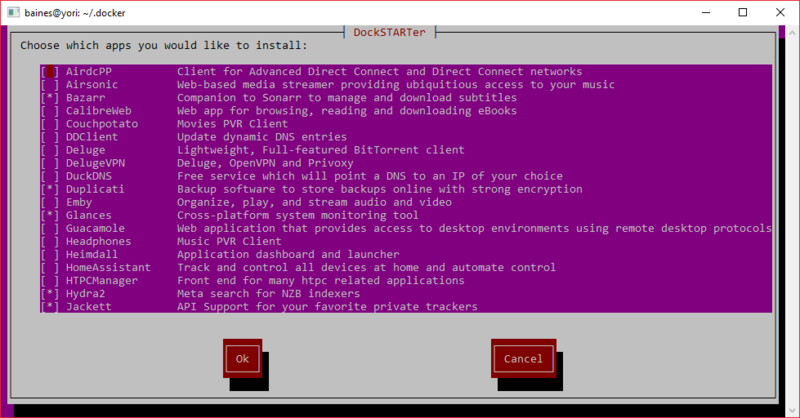 DockSTARTer | DockSTARTer helps you get started with home server apps running in Docker. 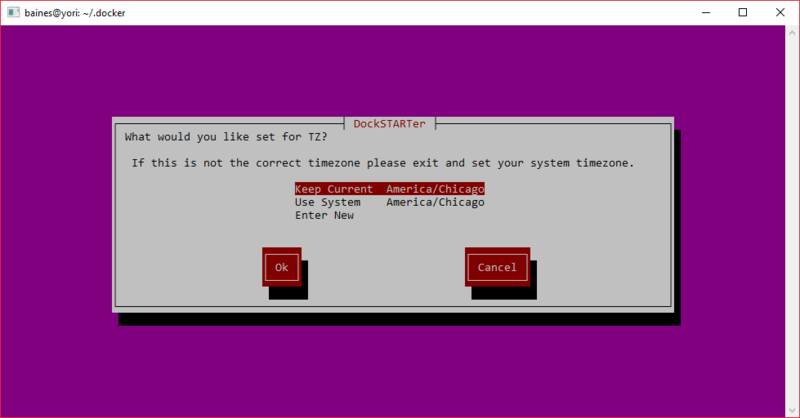 DockSTARTer helps you get started with home server apps running in Docker. 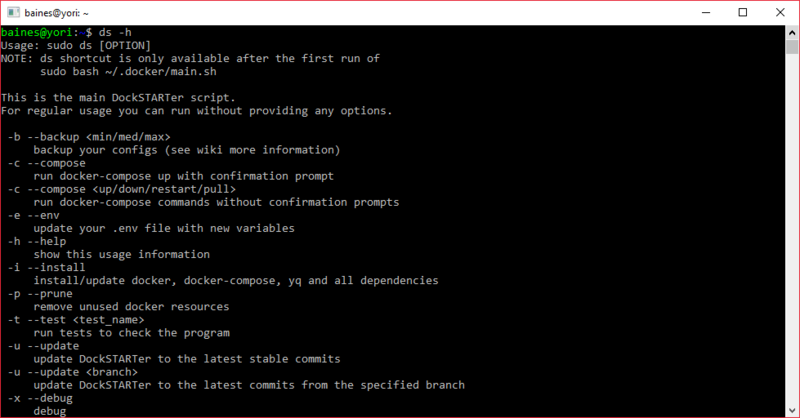 The main goal of DockSTARTer is to make it quick and easy to get up and running with Docker. 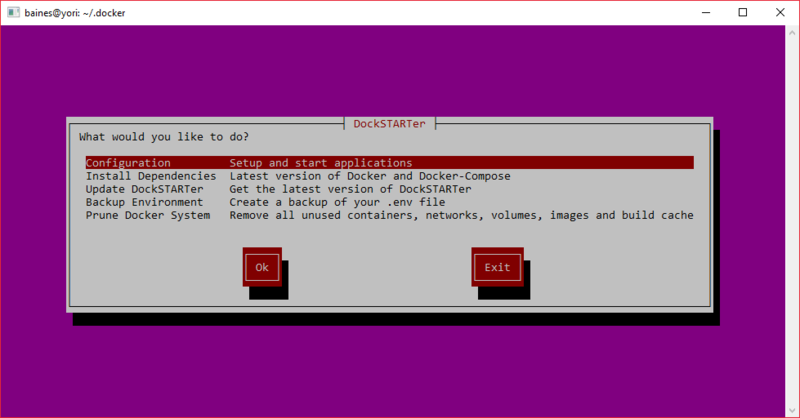 You may choose to rely on DockSTARTer for various changes to your Docker system, or use DockSTARTer as a stepping stone and learn to do more advanced configurations. bash -c "$(curl -fsSL https://get.dockstarter.com)"
# NOTE: Do not sudo the next line. To run DockSTARTer use the command above. You should now see the main menu from the screenshots. Select Configuration and then Full Setup and you will be guided through selecting apps and starting containers. See our Wiki for more detailed information. Click the chat badge to join us on Discord for support! SmartHomeBeginner.com for creating AtoMiC-ToolKit that served as this project’s primary inspiration, and later this guide that provided some initial direction with Docker. LinuxServer.io for maintaining the majority of the Docker images used in this project.